. There are also several studies in the past that have proven its ability to promote normal vision. While there are many positive reviews shared by people who have already used this supplement, some are still skeptic with regards to its ability to deliver a full range of benefits it promises. This is pretty much normal for anyone who has not yet tried a certain product in the past. Let us take a closer look at this supplement, including its ingredients, as well as how much it is sold in the market. This will make it easier to evaluate if this is indeed the right choice for your needs. There are few things that should be given emphasis with regards to its ingredients. 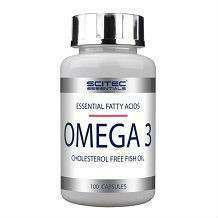 Its use of fish oil is commendable because it makes it contributory in the promotion of better health in multiple ways. 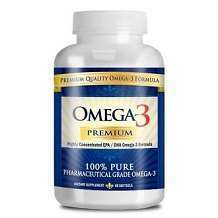 However, it is also important to point out that it only has 470 milligrams of EPA and 330 milligrams of DHA. Based on recommendations from experts, the level of EPA should be 800 milligrams and DHA should be 600 milligrams. Its lack of such content may have an effect on its effectiveness. As it has been recommended by the manufacturer, you need to take one capsule two times in a day, preferably with a meal to fully optimize the benefits from its ingredients. One bottle of the supplement can be purchased for 17 euros, which already contains 100 capsules. This is a pretty reasonable price. From the website of the manufacturer, there is nothing explicitly written about their product guarantee policies. Since the supplement is sold by third-party vendors, they might have their own policies with regards to returns and refunds. One good thing about this product is the favorable reviews from its users, as well as its reasonable price. However, there are also apparent problems, like the lack of product guarantee and the minimal content of DHA and EPA. As you try to evaluate the Omega-3 supplements in the market, make sure they have the right levels of DHA and EPA, which will be indicative of its ability to provide the health benefits that are anticipated from its use.